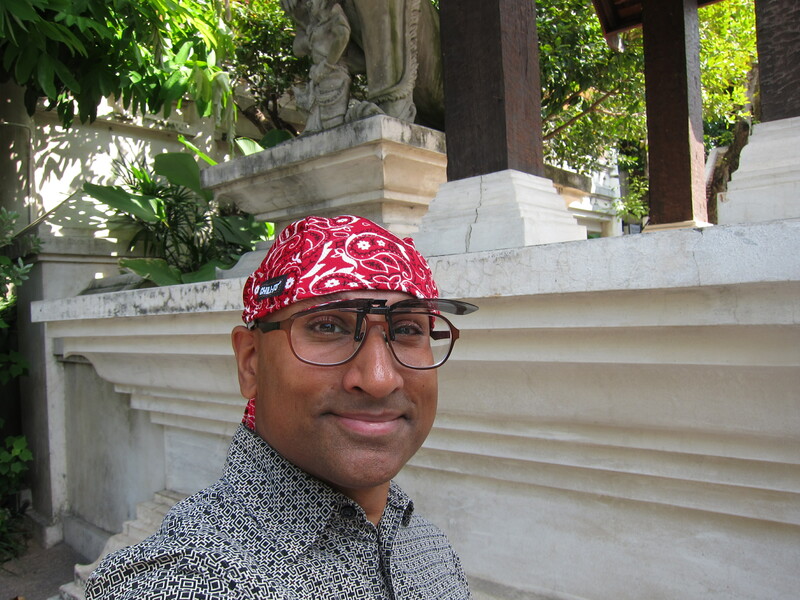 A Random Selfie in Chiang Mai! 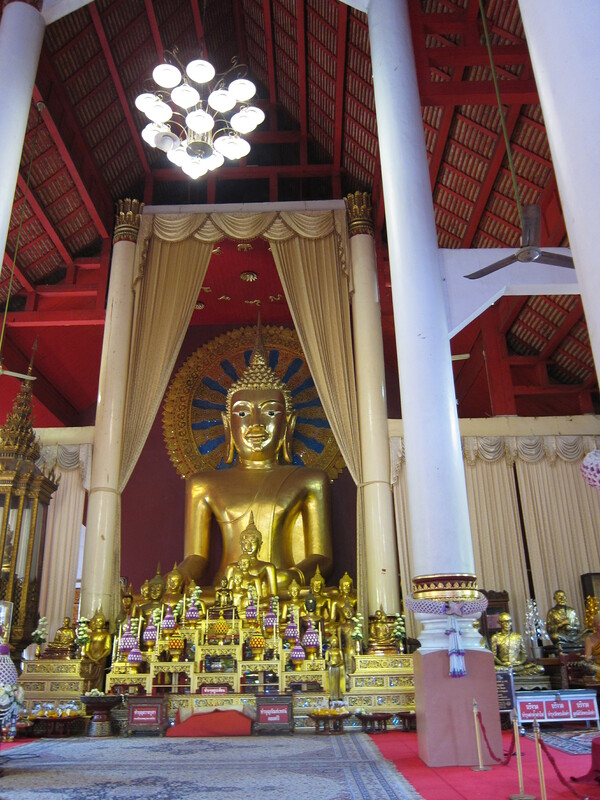 Chiang Mai is a five hour bus ride from Sukhothai. It is situated in the hills of northern Thailand and it is reported to be cooler and less humid year-round than Bangkok. 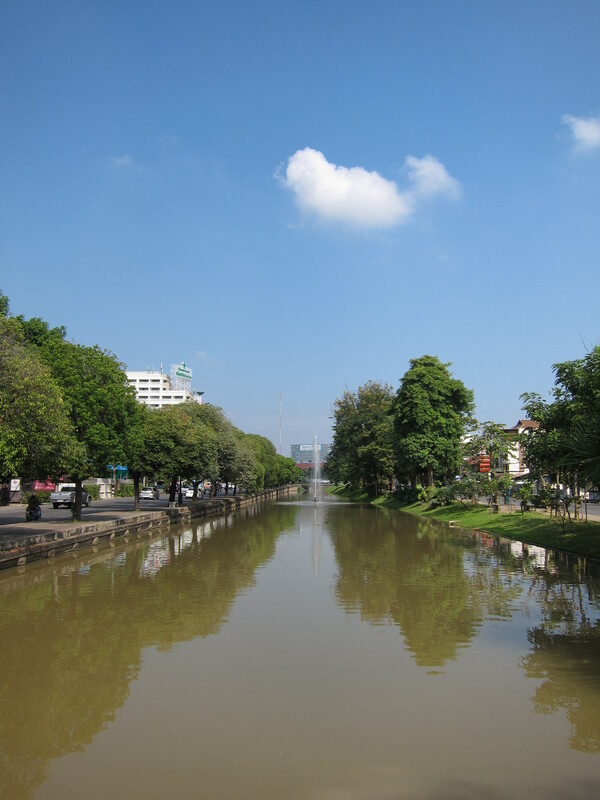 During my stay I found the weather to be very pleasant, reaching a high of no more than 30 degrees Celsius during the day and dropping to around 19 at night, with moderate humidity. 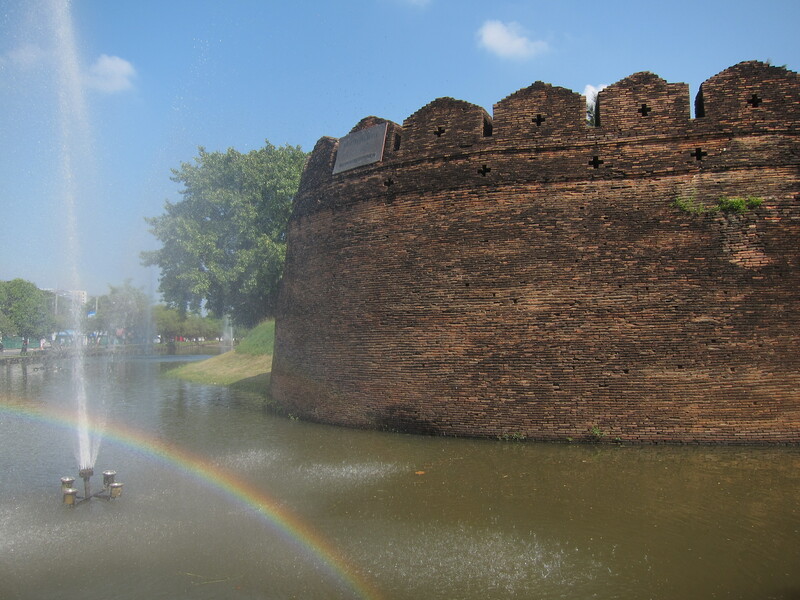 The Moat around Chiang Mai. Part of the old city wall. 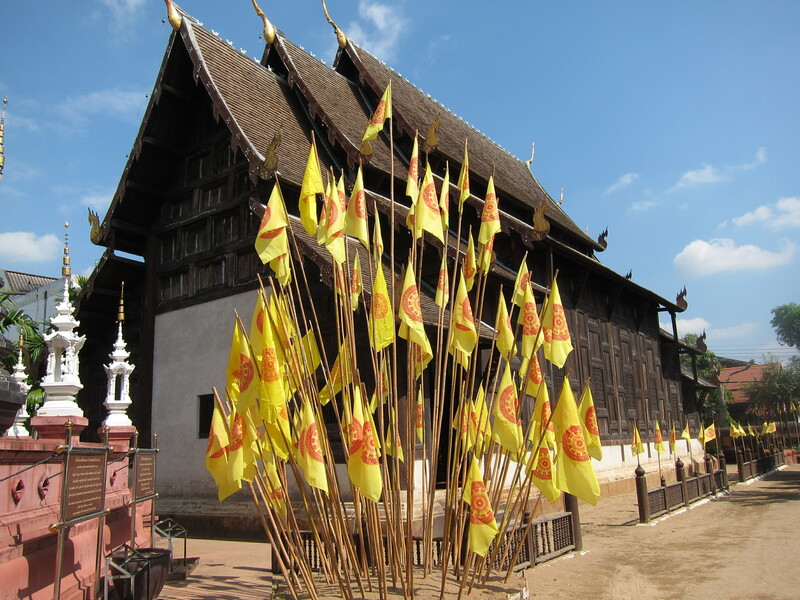 There are several big Buddhist monasteries or “wats” as they are called here, and at least as many smaller ones spread throughout the square-shaped old city, which is surrounded by a moat originally dug in the 13th century. 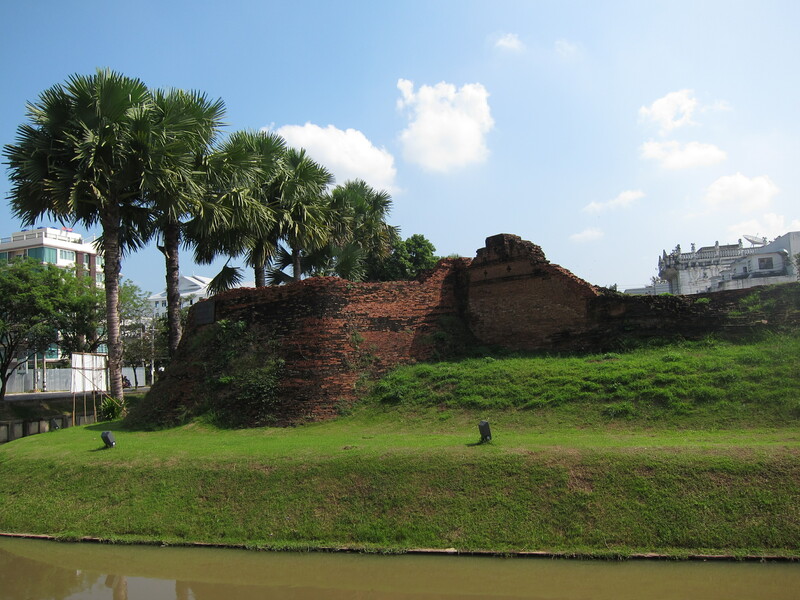 I saw large fragments of the centuries-old walls that had been built along the moat. 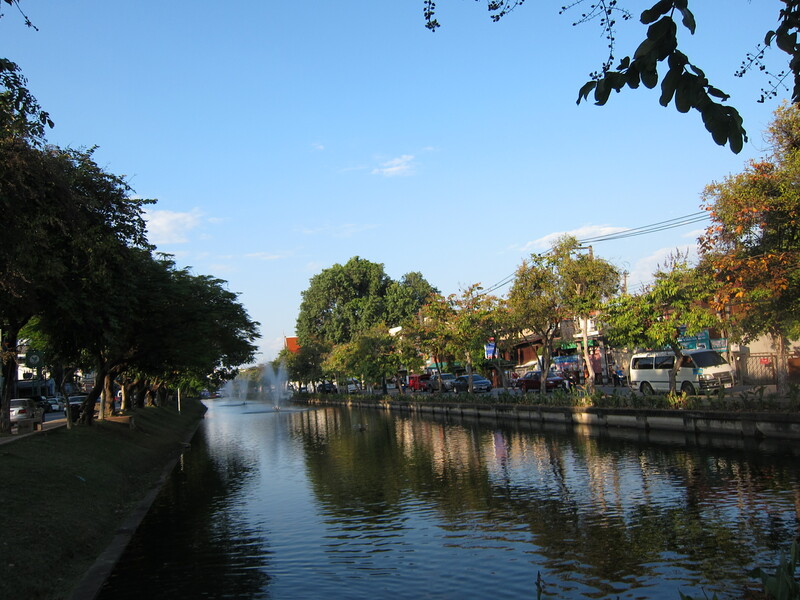 The narrow streets were teeming with tourists from around the globe, and the eastern side of town, both inside and outside of Chiang Mai’s eastern gate, was full of guesthouses and restaurants. One of the wats (I forget which one). 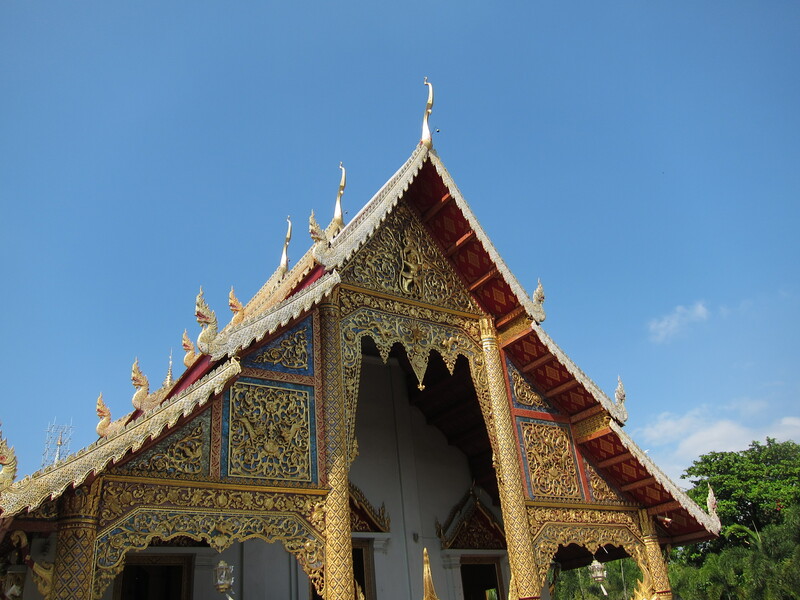 Wat Phan Tao, made of teak. 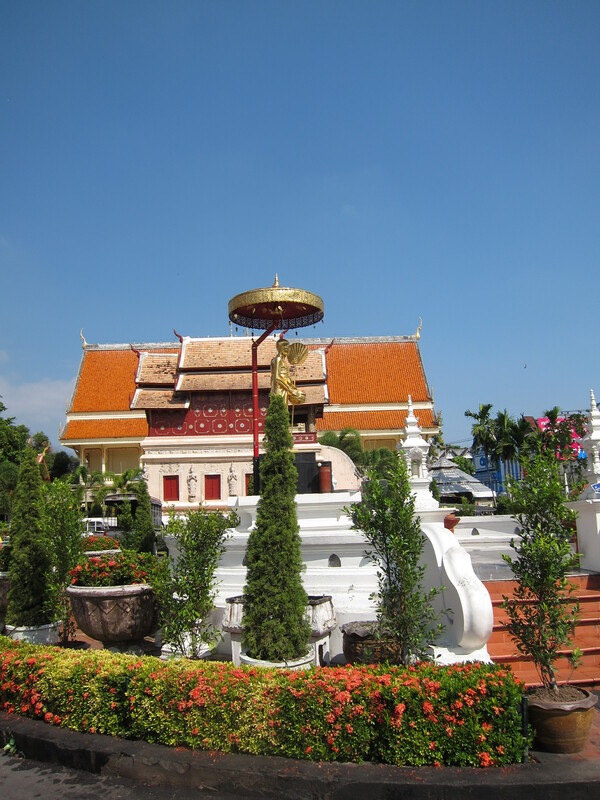 “Chedi” (another name for stupa) at Wat Chedi Luang, in the center of Chiang Mai. 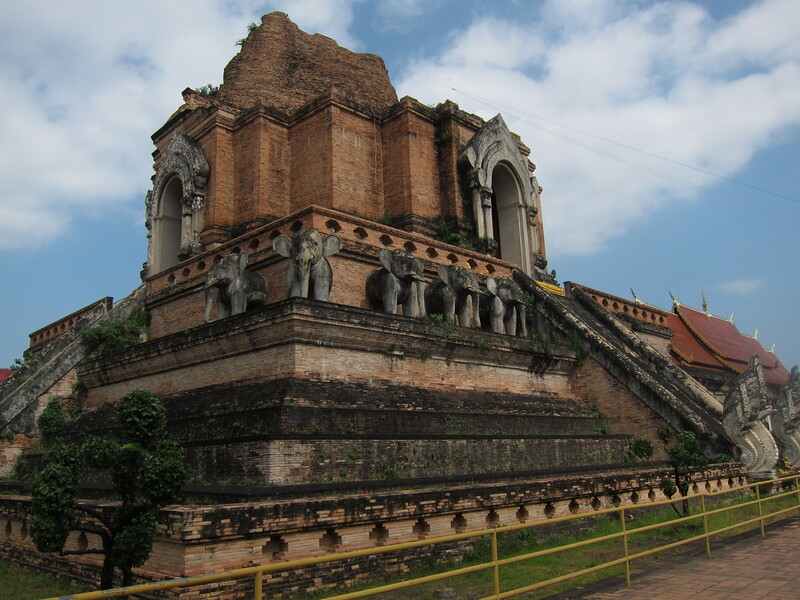 This chedi was completed in 1441.